I tried, honest I did. I tried to limit each month to one picture. As you can see, I failed right away and continued to mostly fail throughout the entire thing. I went back through the many (oh, so many!) photos I had taken in 2015. I did this mostly randomly, although I did focus on a couple highlights such as our new critters, and I made sure to get a image from each month. I enjoyed the process and I hope you enjoy the end result. 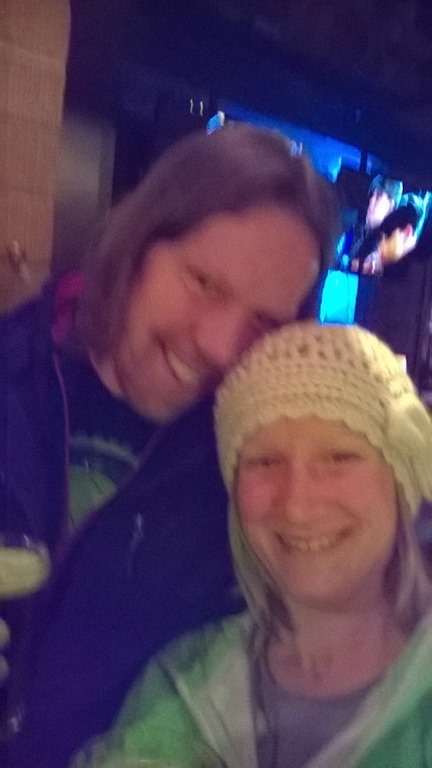 The first five minutes of 2015 – proof that I was awake and celebrating (and I am pretty certain that Husband is holding an IPA, although not in a champagne flute). In 2015 we were still living in the apartment. 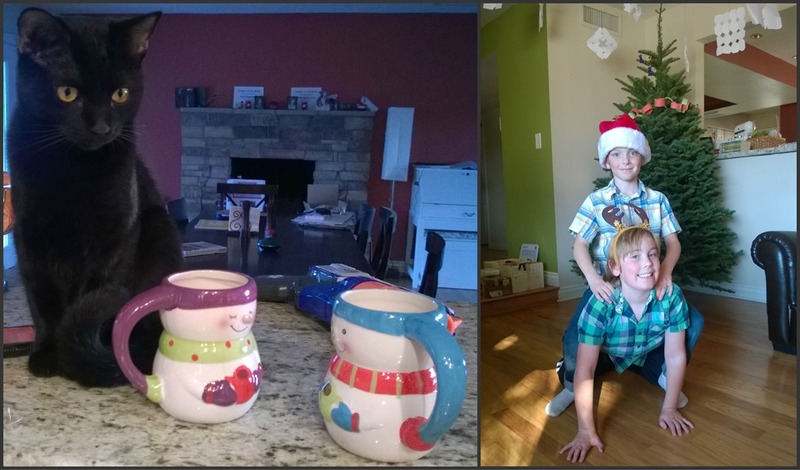 Here are my three boys in their typical state (and Haley simply ignoring the goings on). 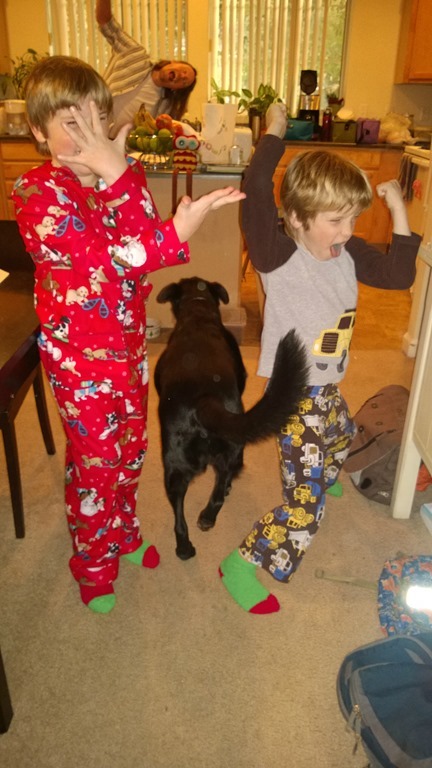 I think I took this picture to show off the boys in their new Christmas socks but the picture is really so much more than socks. 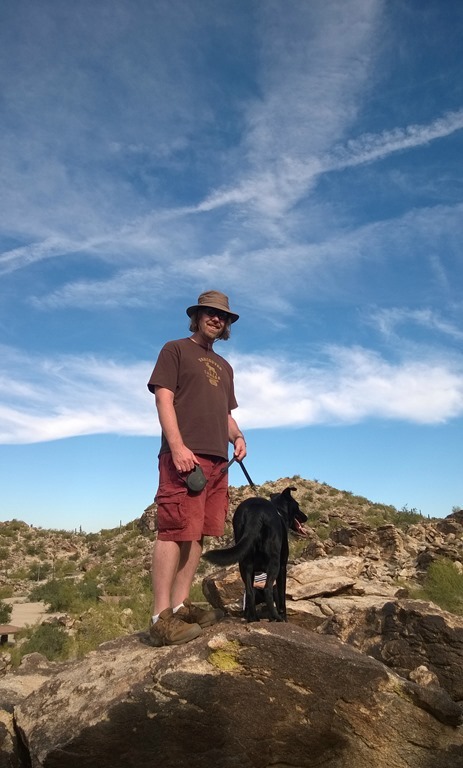 We did a lot of hiking in 2015. Here is a great picture of Husband and Haley. Disneyland. Yup, my mom treated us all to a wonderful time at the happiest place on earth. It was pretty sweet! 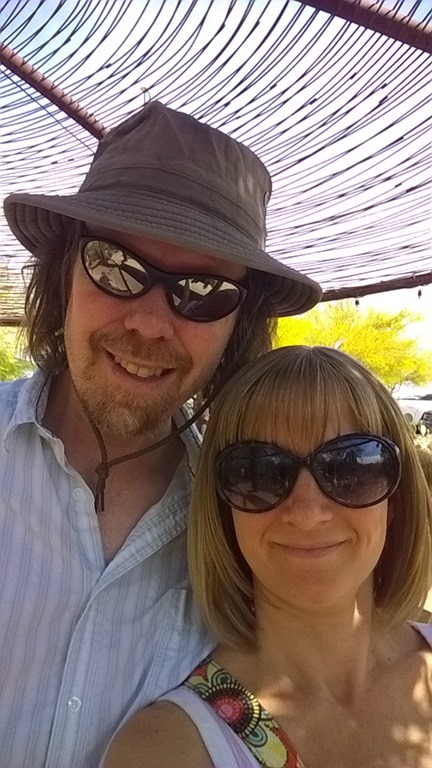 Our family got a membership to the Desert Botanical Gardens. We love it there and go every month or so. 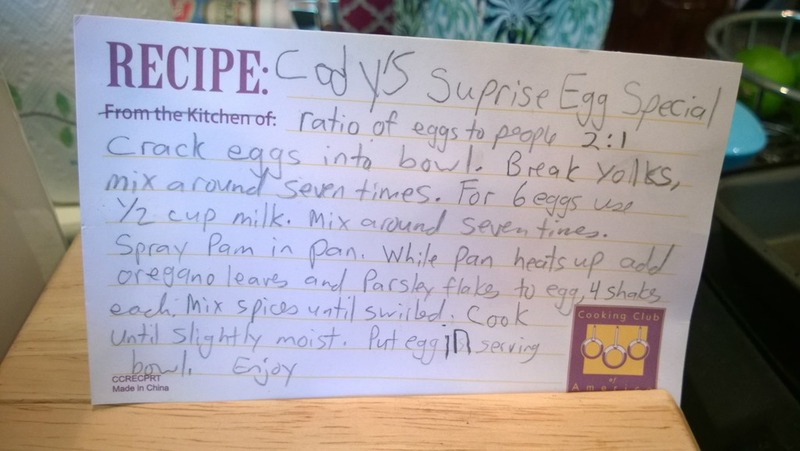 Cody created and documented his very first recipe. Over the year he has made it several times for us, each time using his recipe card. May was moving month for us! I moved classrooms, moving from my very first classroom into another one on the same campus. 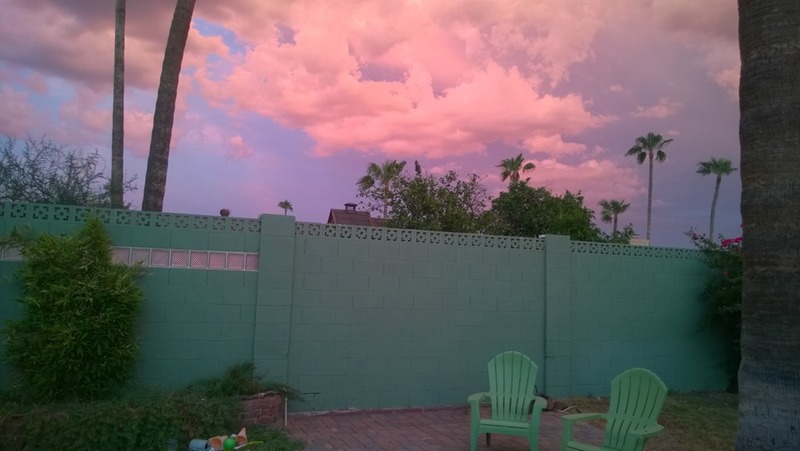 We also moved from our apartment into our wonderful Central Phoenix home. A tiring but amazing month! 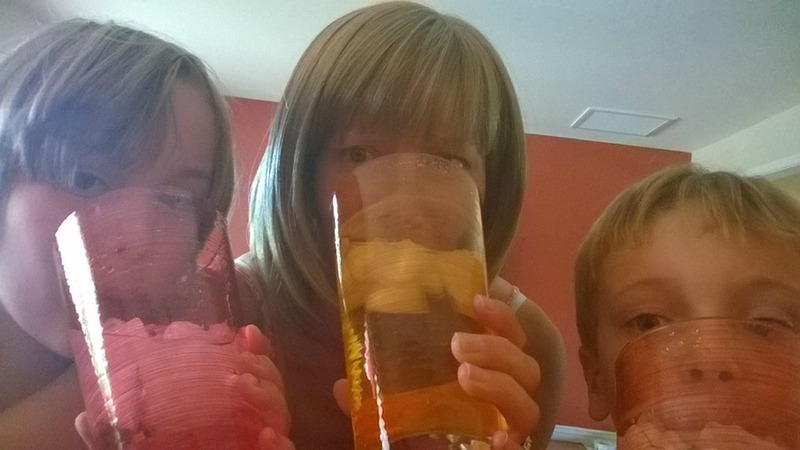 Summer is a time to stay hydrated, especially here! We got new water tumblers for the occasion. 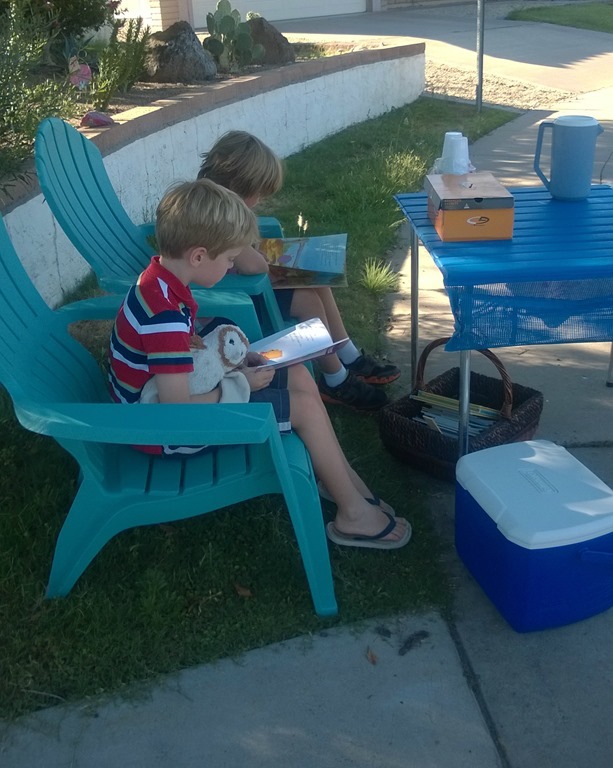 Summer is also the time for lemonade stands. The boys got some serious business but during the down times they were prepared with reading material. 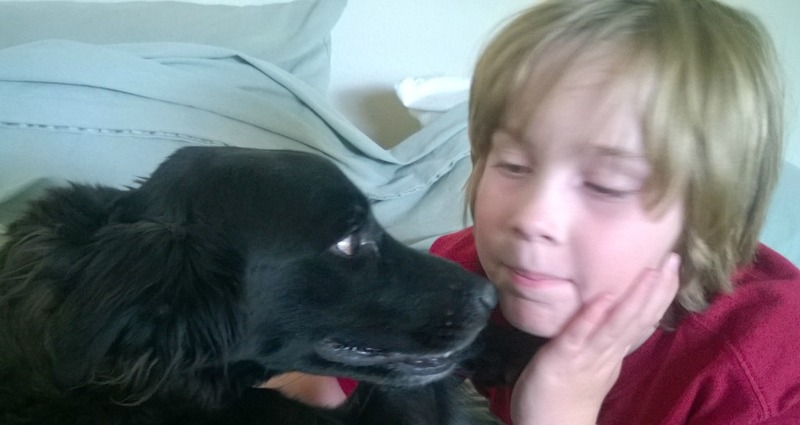 Sasha, our sweet rescue dog, joined our family in early summer. Cody and Sasha hit it off right away. A visit to Washington to spend time with my mom. 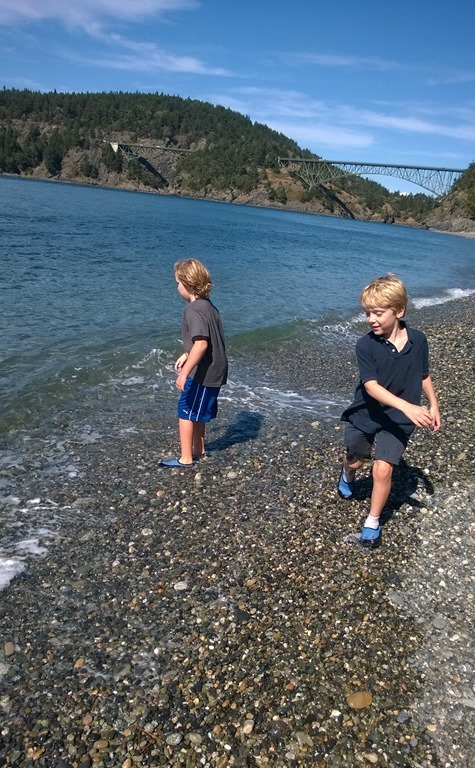 Playing on the beach was a serious highlight. 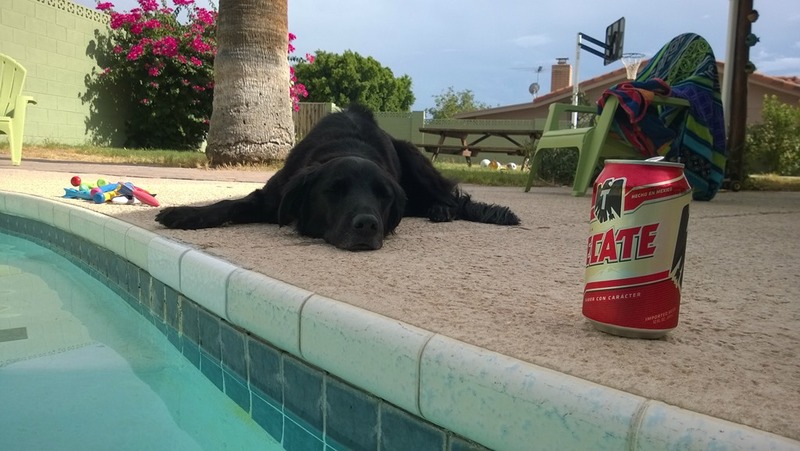 July is a good month for chilling by the pool with a cold Mexican beer. August was back to school month. 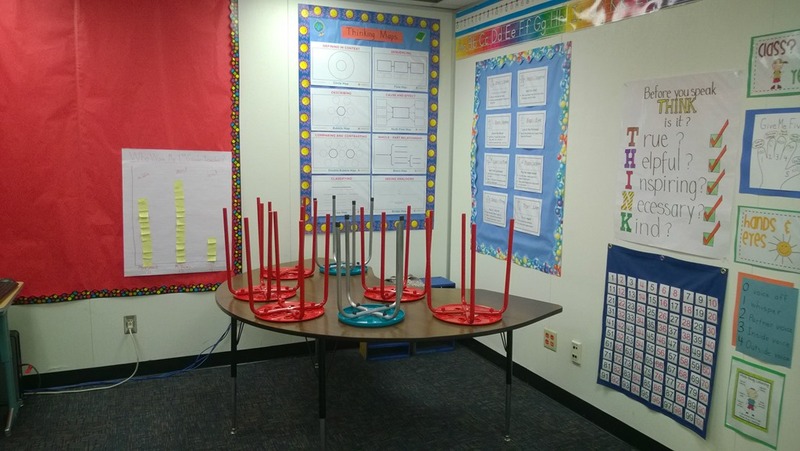 Here is a picture of one of my small group reading tables. This was also the month in which we got Princess Leia and Chloe from the humane society. And finally, a picture of the August setting sun from our backyard, just because. We were thrilled when our neighbors gave us the keys to their cabin for Labor Day weekend. 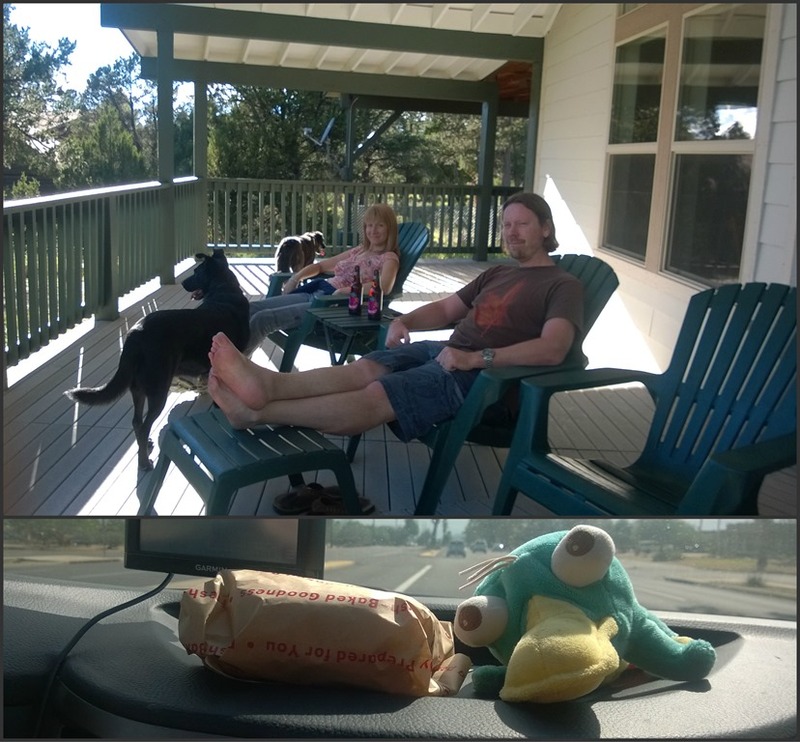 We made a road trip out of it (Perry the Platypus rode super shotgun on the dashboard) and had a wonderful time getting out of the heat on the Mogollon Rim. 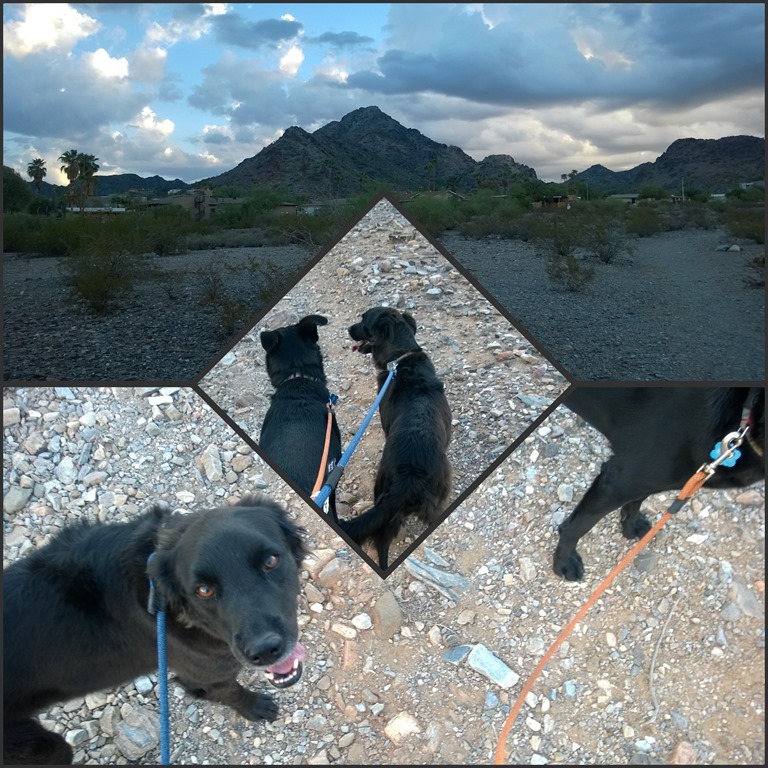 October is a great month for dog walking and we did plenty of it both in the desert mountains a short drive from our house and right in the park and desert in our neighborhood. Happy dogs! 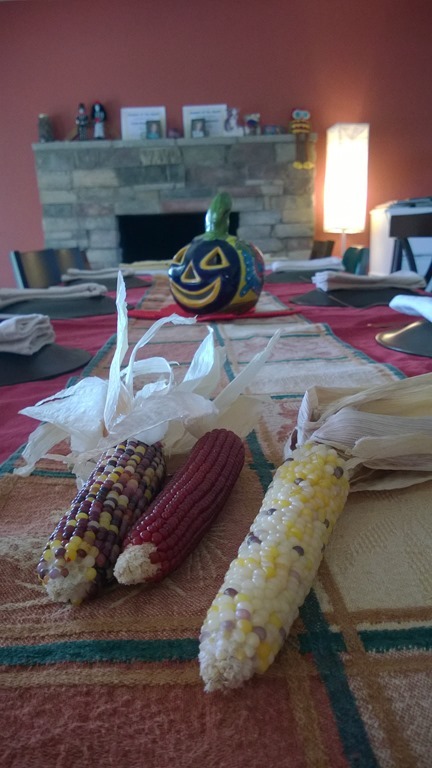 We also celebrated with family and friends our first Practice Thanksgiving in our new house. Husband’s father died in November. This month was filled with memories, sadness, and reflection. 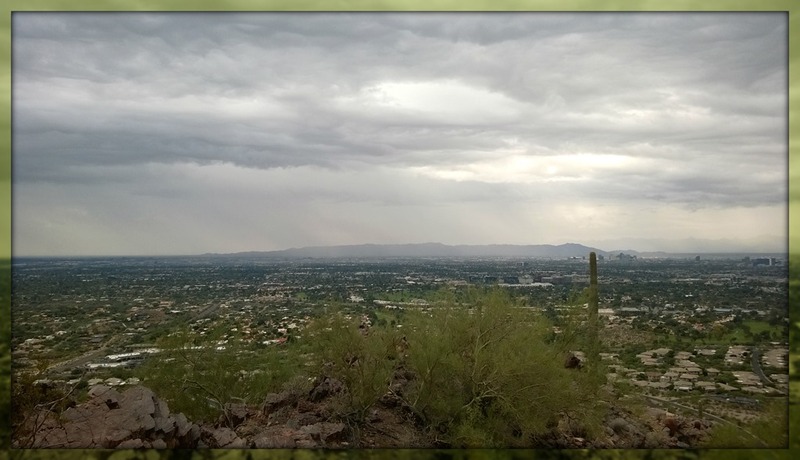 We hiked the mountains near our house and on our way back had desert rain fell upon us. 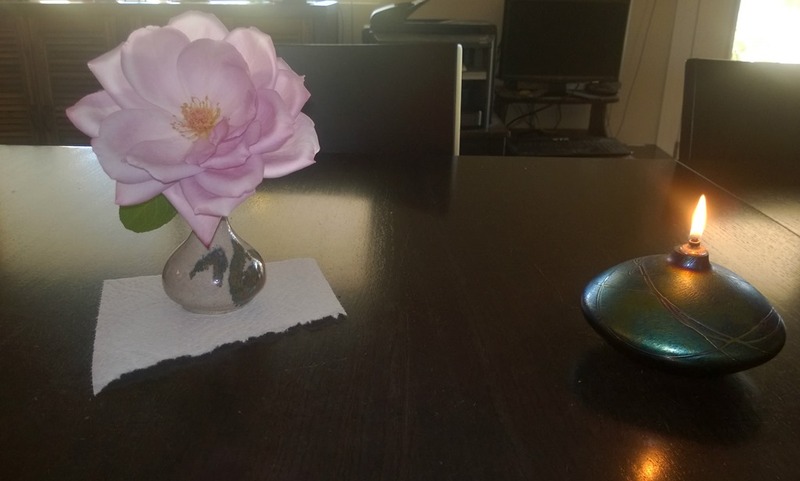 December and our rosebushes continue to bloom. 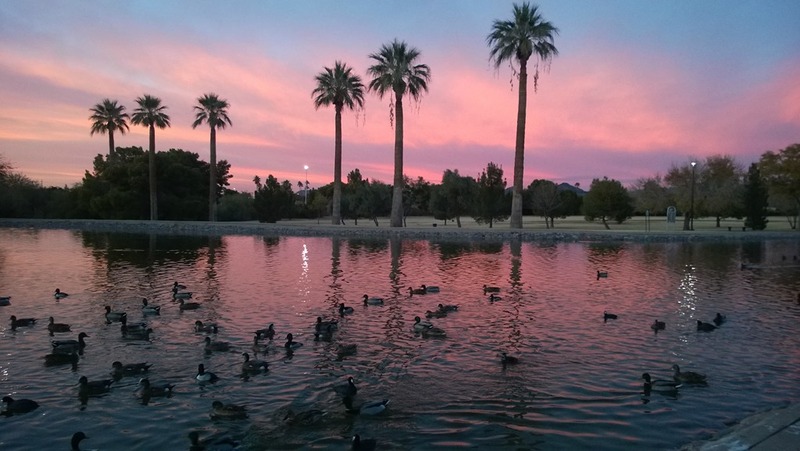 The sky was also in bloom on one of our many evening walks around the park in our neighborhood. 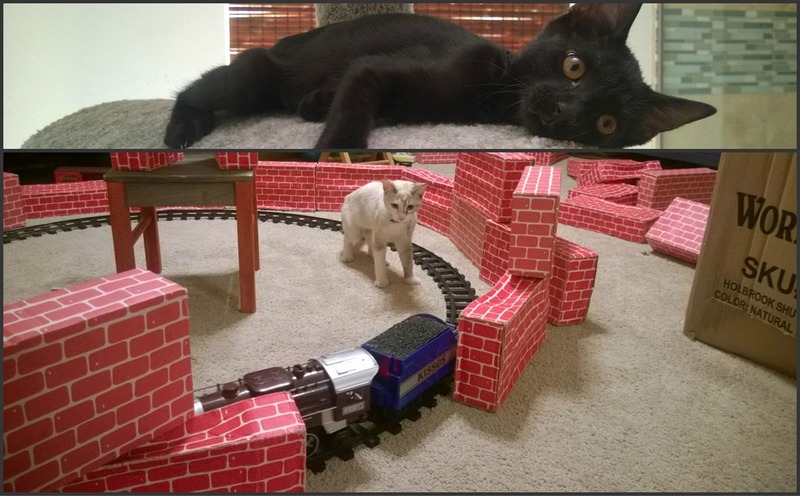 A year of ups and downs was capped by a very nice Christmas (and a cat with a Nerf gun, of course). I am excited to see what is in store for our little family, Shoes on the Wrong Feet, in the year 2016. This entry was posted in Random Thoughts and tagged 2015, 2016, Celebration, Children, Happy New Year, Hiking, Home, Kids, Life, New Year, Pets. Bookmark the permalink. Thanks, it was fun to look back over the year of photos.